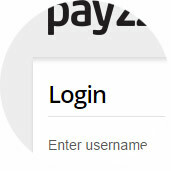 Time to set up your own user account and start working with Payzzer. 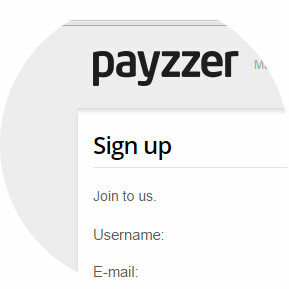 Below you will find step by step instructions on how to start using Payzzer. For more information see the FAQ. Sign up via Payzzer registration form. If you value your anonymity, sign up with an e-mail account that is not directly associated with you (does not contain your name, and you do not use it for personal correspondence). Upon successful registration, we will send a message with an activation link to the entered e-mail. If you do not see the message in the main directory, check the SPAM folder. Clicking the activation link will activate your account. Once you have clicked the activation link, you should already be logged into your account. If it did not happen, just enter your e-mail address and password in the login form, so that you log in to the application. Once you have logged in, a settlement manager appears. The first step is to add the accounts to be settled. 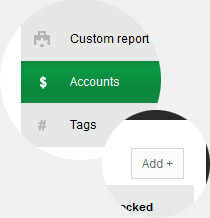 To do this, go to the report with a list of accounts, then click "Add". Accounts should reflect the real division into the place of money storing, for example bank, investment, savings account, piggy bank or even the proverbial sock. When all the accounts were created, assign starting balance, using the "Initial Balance" from the menu account properties. Initial Balance is the state of your finances when you start working with Payzzerem. From that moment on, enter operation for all accounts in the settlement regularly. The balance of each account should be consistent with the real state of the accounts. 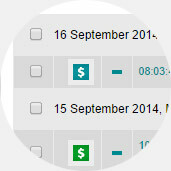 Tag operations with hashtags, which will allow you to make analysis of the various parts of your finances easily.